The News of the World football annual - which began as 16 pages in 1887 - has a new sponsor and a new publisher. 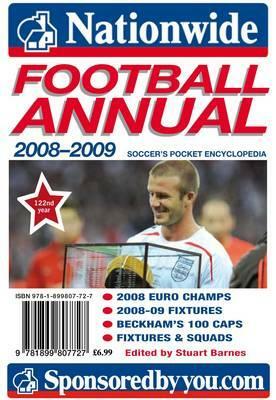 Thicker than ever, the world's oldest football annual - sponsored by Nationwide, the England team sponsors - is packed full of information vital for the football fan: from team line-ups to international results and from international appearances and goalscorers to the sort of trivia that'll keep a pub quiz in questions for half a century. Everything anyone needs to know about the game - league and non-league - in Britain, Ireland and Europe.